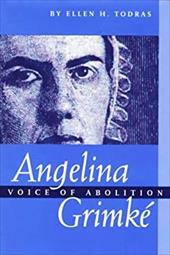 0208024859 - Angelina Grimke: Voice of Abolition - Todras, Ellen H.
[EAN: 9780208024855], Neubuch, [PU: Linnet Books], Ships with Tracking Number! INTERNATIONAL WORLDWIDE Shipping available. Buy with confidence, excellent customer service!